Admit it! Who doesn’t like a nice and cozy ambiance café? Over the year, café hoping has became a trend. Despite having a cup of nice coffee and good dessert, It is also a must to take a insta-worthy photo to check in social media. What if a florist theme café? Worry not, we have come out with a list where these florist has become a café. Not only for a cup of good coffee but also with the fresh flower as a part of decoration and you can even customize a bouquet of flower for yourself or your love one. Once you step into this café, immediately you can see the flowery interior design with fresh flower on the table. They even provide a unique dessert where their signature chamomile honey cake give a surprise taste bud to you. Not only that, they do provide a vending machine where you can a readily-wrapped dry flower through a vending machine. Don’t have a sweet tooth? How about lavender jade drop? Terracotta Café are suitable for those who don’t really fancy desserts. 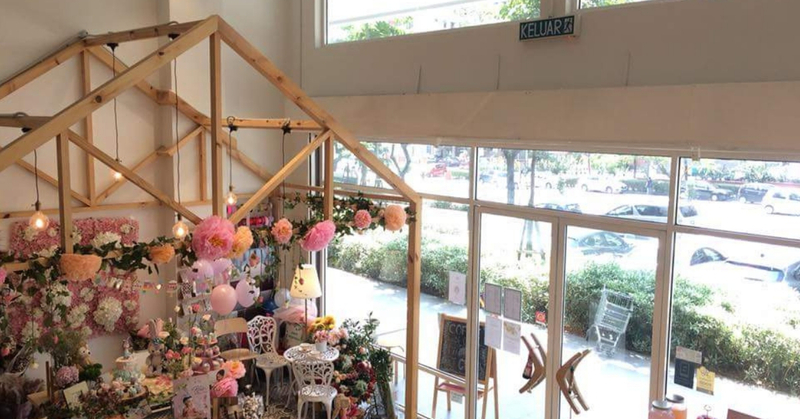 Aside from good food, they also have boutique in store where you can shop for flowers, food and clothing under the same roof. If you would like to have a bouquet of flower from this shop, do send in your bouquet order earlier as they only take in pre-orders. If you are looking for a place where they can provide a floral venue decoration with a bigger space , Kerry’s florist café will be your best choice. They also provide floral accessories services such as floral hand band or floral hair accessories.